Vilna was the home to Jewish theatres, drama circles and an association for Jewish theatre. 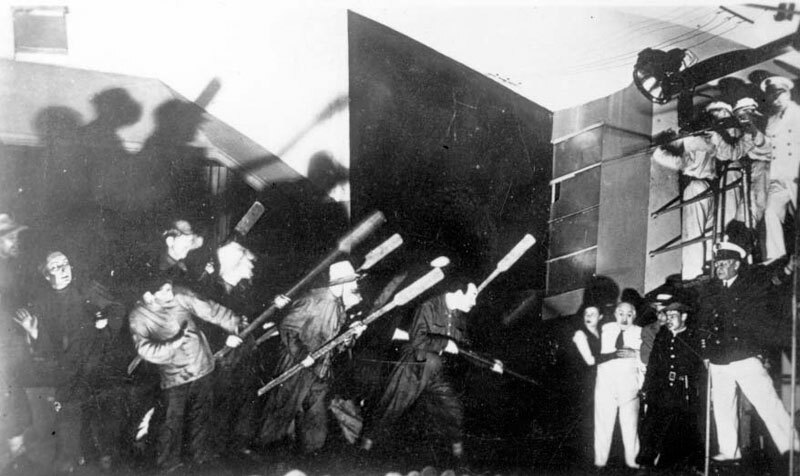 In the 1920s, the "Amateur Theatre," run by Nahum Lipovski, operated in Vilna, alongside the "Drama and Opera Troupe," the "Yiddish Folk Theatre," and the "Vilna Troupe" – the most famous and talented of all the troupes – that staged dramatic performances as well as children's shows until the invasion by the Red Army in 1920. Afterwards, the Vilna Troupe moved to Warsaw, but returned to perform in Vilna. Until 1923, a drama studio operated in Vilna run by the Association for the Arts. Twenty-five people completed their studies at the studio, receiving a certificate accrediting them as actors. Indeed, almost all of them became professional actors. The Arts Association held balls at which the studio's students performed on sets painted by artists. 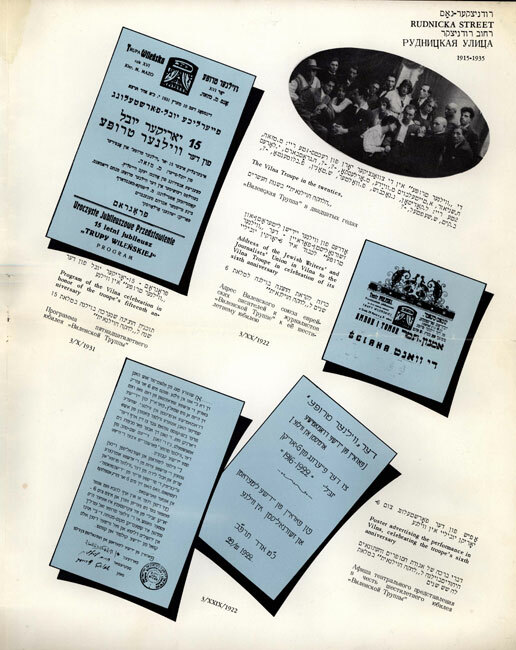 The Association also supported the establishment of the "Jewish Theatre for Drama and Comedy," in which local actors appeared alongside more famous performers. Drama circles operated in conjunction with organizations and schools. 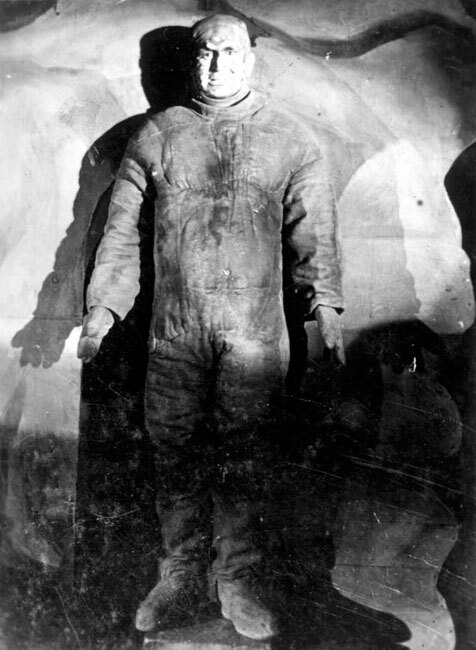 Those that put on performances included the "Undzer Vinkel" (Our Corner) Drama Circle connected to the tradesmen's association; the circle connected to the "Borochov Association"; and students of the Yiddish seminar for teachers. Plays included Salome by Oscar Wilde, Shakespeare's Julius Caesar, and The Golddiggers by Shalom Aleichem. At the end of the 1920s, the feeling arose that the city was staging below-standard performances, and the "Association of Friends of the Theatre" was established. The Association supported local troupes, and pledged to stage first-rate shows, establish a theatre studio and invite quality troupes from outside the city, such as the Vilna Troupe from Warsaw. For a short while, the Association even managed to secure support from the municipality for the city's theatre. The Association held a number of cultural activities connected to theatre: publishing an article by a veteran actor about Shylock and Shakespeare; holding celebrations for veteran actors; initiating a national conference of Jewish theatre associations; and even instigating the building of a Jewish theatre hall in the city. In 1928, two theatre halls operated in Vilna: "Azazel", dedicated at the successful performance of a Jewish opera, and "Palace" that changed its name to the Polish "Nowości". The city also boasted a children's theatre and a puppet theatre called "Meydim" – the only permanent Jewish puppet theatre in Poland. 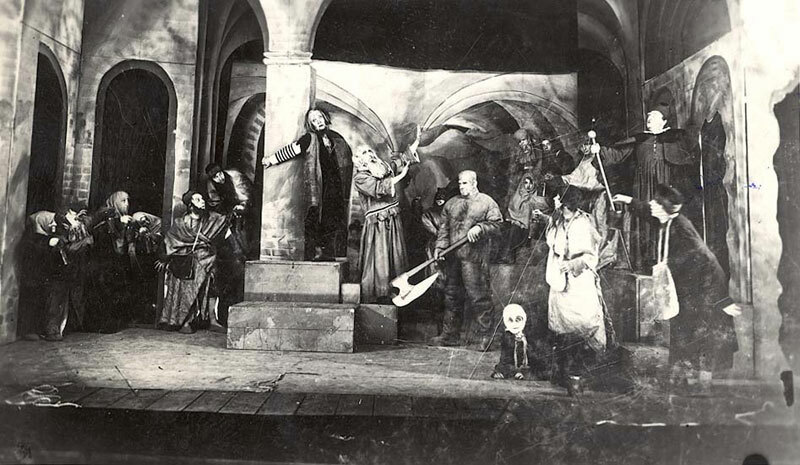 In 1933, the Cameri Theatre performed "Davka" with 35 actors. 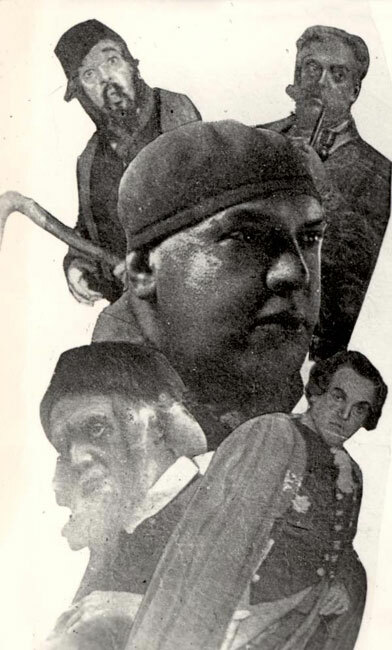 Every year the theatre presented an artistic program. At the beginning of the 1930s, the "Jung Vilna Theatre", comprising two amateur groups, operated in the city. The "Tarbut (Culture)" Union established "Habima Haivrit (The Jewish Stage)," which presented performances by David Pinski, Itzhak Katzenelson, Shalom Asch and Y. D. Berkowitz. Following Berkowitz's play, young people sang the Hatikva. 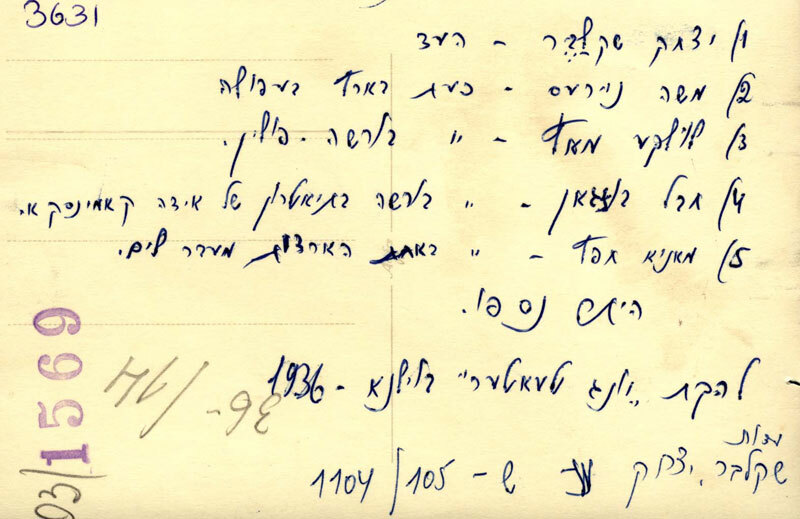 After Habima Haivrit ceased its activity, drama circles connected to the Hebrew Teachers' Seminary, the Hebrew Gymnasium and Zionist youth organizations were convened. 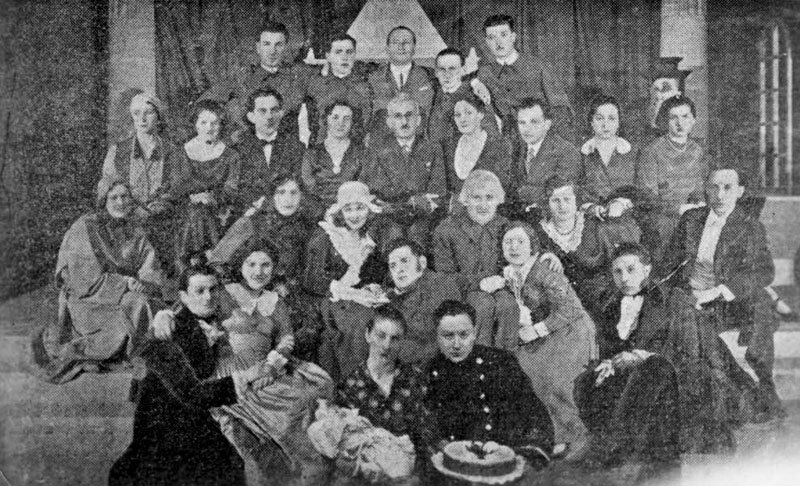 A visit by the Habima Theatre from Moscow in 1926 inspired the establishment of the studio for amateur theatre – "The Jewish Drama Studio" – whose actors were students at the Hebrew Gymnasium, other students, members of the "Hashomer Hatzair" drama circle, and other amateur thespians. Some actors from the Polish "Radota" Theatre assisted the theatre voluntarily. Theatre supporters organized the "Association for Jewish Theatre." 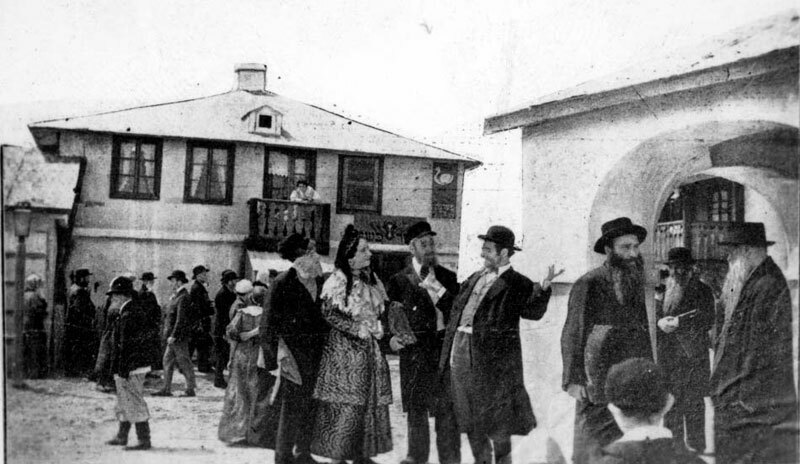 The "Studio for Hebrew Drama" put on performances on Jewish and more general topics in Vilna and many other towns across Poland, and even broadcast a number of plays on Vilna Radio. After the studio closed, its students worked as actors and organized performances by the Jewish schools and youth movements. 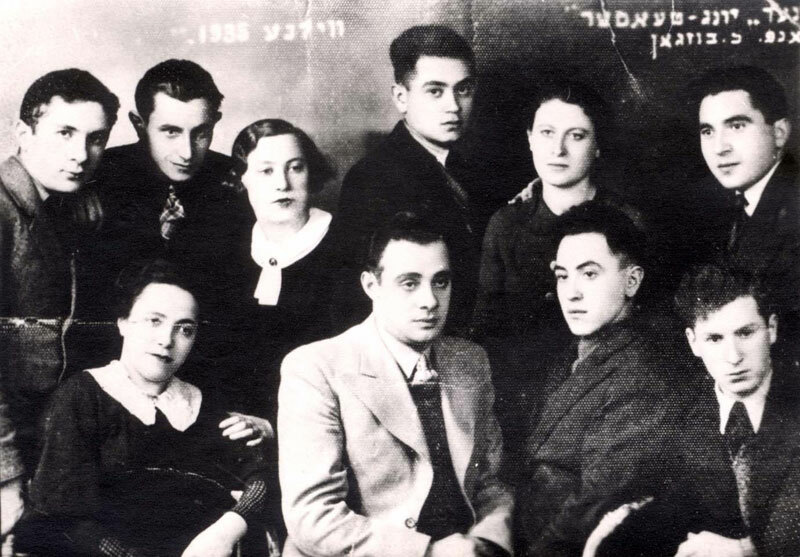 In the decade preceding WWII, many troupes performed in the city, including "The National Jewish Stage," the Warsaw "Operetta" Troupe, "Ararati" from Lodz, the A. Samberg Troupe, "Yiddishe Bande," M. Broderson's "Yehudi Balagan," (A Messy Jew) and the "Jung Theatre" from Warsaw, which later in 1937 moved to Vilna under the name "New Theatre," and other operettas and well-known actors. In 1938-1939, "New Theatre" in Vilna staged more than 20 performances, 18 of which were for children.